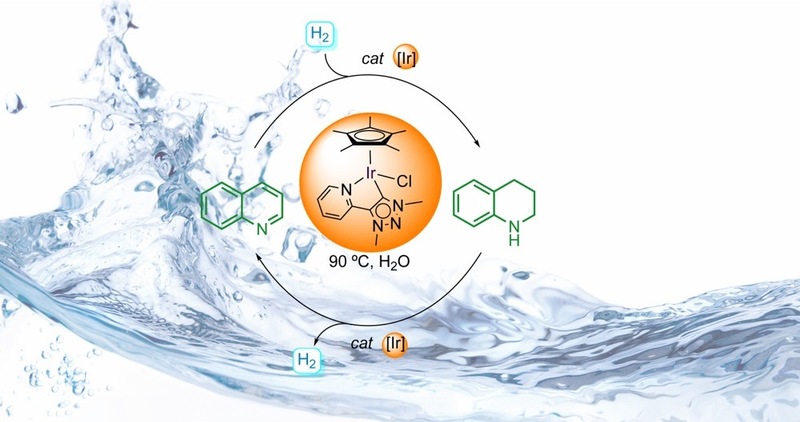 We developed an iridium complex containing an N-heterocyclic carbene that is highly active for the hydrogenation of quinoline as well as the dehydrogenation of tetrahydroquinoline at relatively low temperature, in high yields, and in the same medium without the need of an external hydrogen scavenger. A single catalyst for both hydrogenation and dehydrogenation processes is highly attractive for reversible hydrogen storage in liquid organic hydrogen carriers. This work was carried out in the group of Prof. Dr. Martin Albrecht. 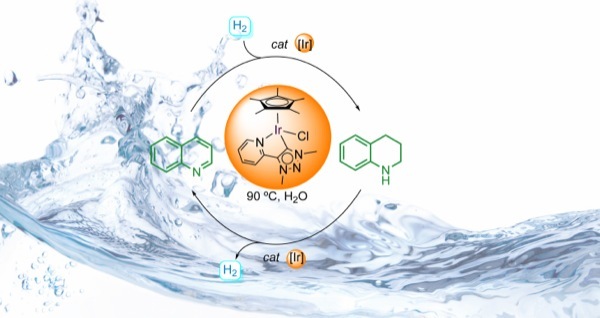 "NHC-Based Iridium Catalysts for Hydrogenation and Dehydrogenation of N-Heteroarenes in Water under Mild Conditions"
ACS Catalysis, 2018, 8(1), 17-21; doi:10.1021/acscatal.7b03547.